Ethiopia is the second-most populous country in Africa and used to be the 3rd poorest country in the world. The Ethiopian government is in the process of privatising many of the state-owned businesses and moving toward a market economy. Ethiopia now has one of the fastest-growing economies in the world (the expansion of agriculture, construction and services accounts for most of this). From Filing to Registration, 12 Months. Valid for a period of 7 years, and renewed for consecutive periods of 7 years. 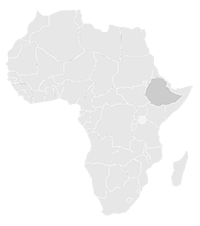 Copyright can be registered in Ethiopia. Copyright lasts for the duration of the life of the author and a period of 50 years from the end of the year in which the author dies. Agriculture, forestry and fishing, Minerals and mining, Energy, Manufacturing, Transport, Road, Air, Rail. Ethiopia is also Africa’s second biggest maize producer. Coffee, pulses, beans, oilseeds, cereals, potatoes, sugarcane, and vegetables. Switzerland, China, United States, Netherlands, Saudi Arabia, Germany. China, United States, Saudi Arabia, India, Belarus.